Maximize the storage capacity of your HDS storage system. 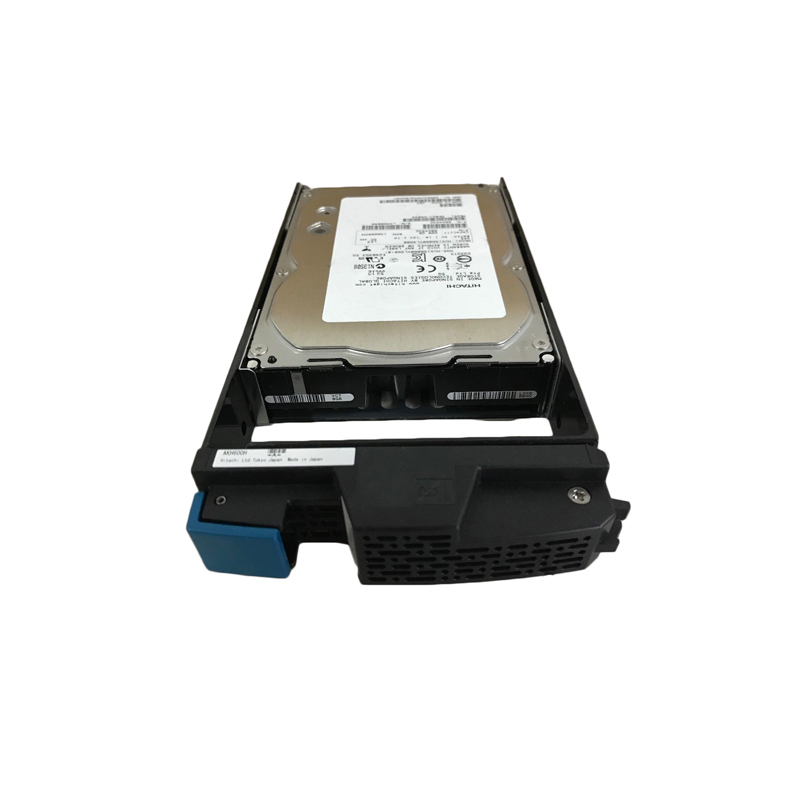 The HDS DF-F800-AKH600 is a 600GB SAS 6Gbps 15k RPM hard drive for AMS2100, AMS2300, and AMS2500 storage systems. All HDS hard drives sold by SPS Pros are previously used, fully-tested, and backed by a 60 day warranty against defects. If you don’t see the part listed that you’re looking for, please use our Contact Us form; as we have many parts in inventory that are not listed. The DF-F800-AKH600 is also known as part numbers HUS156060VLS600, 3276138-D, AKH600H, and others listed below. HDS combines ultimate performance with high capacity in the same drive. The HDS DF-F800-AKH600 can store up to 600GB of data while spinning at 15,000 RPM. That amounts to a capacity growth of 33% over its predecessor to keep pace with digital data growth and improve space efficiency in today’s data centers. At the same time, sequential performance increased by 23% compared to prior generation to keep data moving faster. The 64MB cache buffer is the largest in the industry in its class and the DF-F800-AKH600 is designed for HDS reliability. The 6Gb/s Serial Attached SCSI (SAS) interface support the reliability required in the most demanding enterprise computing environments like on-line transaction processing, intensive data analysis, multi-user applications and data warehousing. Using HDS SAS HDD with part numbers DF-F800-AKH600, HUS156060VLS600, 3276138-D & AKH600H for applications that use small block, random I/O is an important factor in realizing higher performance benefits. These applications have a tendency to minimize any caching advantages of the storage system. In addition, with applications such as these, the physical access to data on the disk has the greatest effect on overall performance. These small block, random I/O applications reap the greatest benefits from storage-system performance improvements achieved through the drive’s improved seek and rotational latency times.